Brighton based business specializing in energy efficient nightclub sound systems. Scarborough based Emma and Rich are a high energy, high quality photographers, creating imagery that you can feel. Cripps Barn is a beautiful and popular venue located in the countryside near Bibury in Gloucesteshire. JooJoo Creative is a boutique web design, development and marketing agency based in the heart of Brighton and Hove. 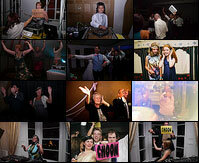 Angel House is an events venue on the Brighton and Hove border that specializes in weddings. The wonderful regency building makes this an atmospheric destination. The Savile Club was established in 1868 by a group of the most distinguished writers and artists of the time. Its home is a fine 18th Century house in the heart of Mayfair, and the club can be hired for wedding receptions and private parties. An award winning Grade II listed restoration and conversion, Dodford Manor is available to hire as a wedding venue. Set in more than 20 acres of Northamptonshire countryside, there are four beautiful wedding barns to choose from. Dedicated to supporting small and medium sized businesses, E-Spark seeks to inspire and enable pisitive social change through the acton of entrepreneuring. Open six days a week and staffed by a friendly and efficient team, Colourfast are a great one-stop shop for all your printing needs. Based at the Tarner Children’s Centre in Brighton, the community cafe serves up a daily menu and seasonal specials from locally grown, organic produce at an affordable price.